Lesbian sleuth Jane Lawless confronts one of her most frightening situations: children gone missing. 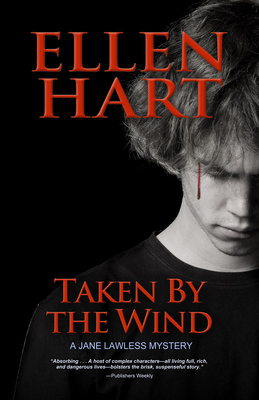 Seamlessly integrating enough backstory to orient readers new to the series, Ellen Hart also quickly establishes restaurateur Lawless's professional skills as a part-time PI as she deftly secures the details pertaining to the disappearance of Eric and Andrew's hot-headed, charismatic twelve-year-old son, Jack, and develops a search strategy. Jack has previously masterminded risky situations with his less volatile cousin, Gabriel, who is troubled, having recently consented to genetic testing since his father died of ALS. But have the boys escalated their adventures? Jane's first impression of the case isn't good--in fact, she's not convinced the boys ran away at all. She thinks they may have been abducted . . . or worse. Ellen Hart is a five-time winner of the Lambda Literary Award for Best Lesbian Mystery and a three-time winner of the Minnesota Book Award for Best Popular Fiction.